Editor’s Note: Mike Still, of Judsonia, Arkansas, has been hunting ducks for over 40 years and has been a member of the Mossy Oak Pro Staff for 7 years. Somewhat surprisingly we learned his favorite pattern is the original Bottomland camo for hunting waterfowl. “The reason I like Bottomland is because I primarily hunt flooded timber, and Bottomland looks more like a tree trunk, especially when I’m standing in the shadow of a tree, than a real tree trunk looks,” Still explains. 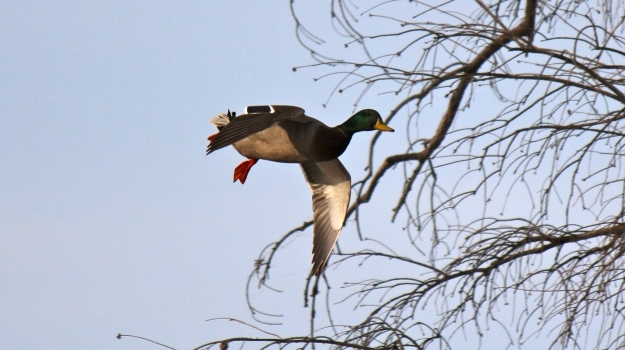 The good news is the forecast for duck season this year is that there will be plenty of ducks coming down the flyways. 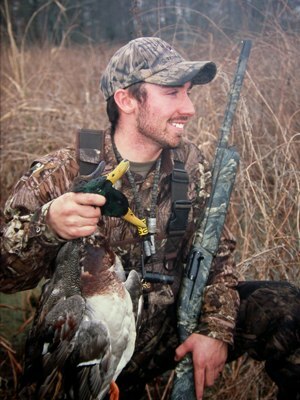 I fell into duck hunting by following my family. My dad was a duck hunter, and I can’t remember when I didn’t duck hunt. Although most duck hunters believe that if they’ve been good, they’ll get to go to Arkansas when they go to heaven, I was lucky enough to be born and raised in Arkansas. 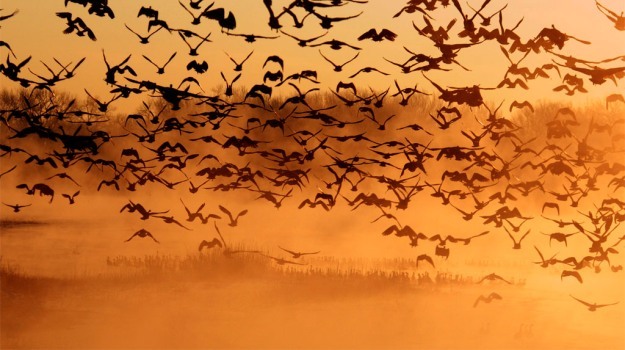 When you look at the statistics, you’ll see that 1/5 of the mallard duck population in the United States flies through Arkansas. You easily can see why I’m so enthusiastic about hunting ducks. I hunt a lot of public lands in eastern Arkansas. I start hunting ducks in northeast Arkansas and follow the ducks all the way down to Stuttgart each season. The secret to taking ducks on public lands is not to be afraid to get away from all of the other duck hunters on public lands. I believe that duck hunting’s much like deer hunting in that instead of letting hunting pressure spook the deer or duck away from you, use hunting pressure to put the deer or the ducks where you can take them. For instance, I go to the holes that most other duck hunters drive past and won’t hunt. I let all the other duck hunters go out and have the fun of racing their boats to the known best duck hunting on public lands. I sit back and watch them run their boats through the woods like maniacs. After they all get to what they consider those really good spots, I go to the holes that everybody else has gone past. Getting to your duck hunting spot before first light is nice, but I don’t believe it’s mandatory for successful duck hunting. I don’t get overly concerned if we’re a little late getting out on the water. I do a great deal of scouting, and the scouting that pays-off best for me is when everyone else on public land is shooting. I watch where the ducks go after they’ve been shot at, and those are the places that I hunt. By hunting like this, I let the other hunters on public land take the first shots at a flight of ducks. Then I’ll go to a place where the birds like to go after they’ve been shot at, so that hunting pressure puts the ducks where I want them to be. Some mornings I won’t fire a shot before 9:00 am, but with 6 to 8 hunters in my group, we’ll all limit out by 10:00 am. I’m looking for secondary spots that other hunters don’t see, because their only concern is about where the ducks are going to come in at first light. They rarely if ever see where those ducks go after hunter’s have shot at them. Tomorrow I’ll tell you why I hunt camp grounds during the early season. Cabela’s Men's Rush Creek insulated and soft-shell jackets are now available in Mossy Oak Break-Up Country. 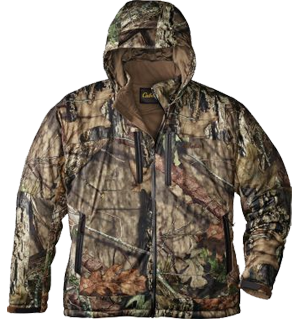 These jackets are excellent for keeping you warm and protected from the elements during your cold weather hunts. I’m often asked if I guide hunters on public lands, and I say, “Yes, I do.” The next question that comes is, “What do the hunters who pay you to guide them think about your taking them to public land?” “They love it,” I answer. I don’t charge when I guide on public lands. 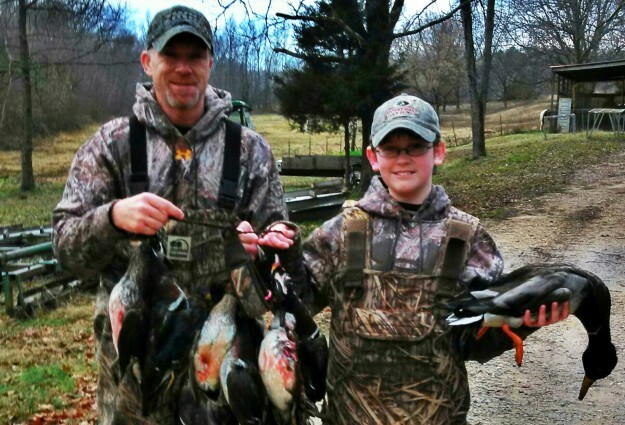 The majority of ducks we take in our section of Kentucky are mallards, pintail and gadwalls. 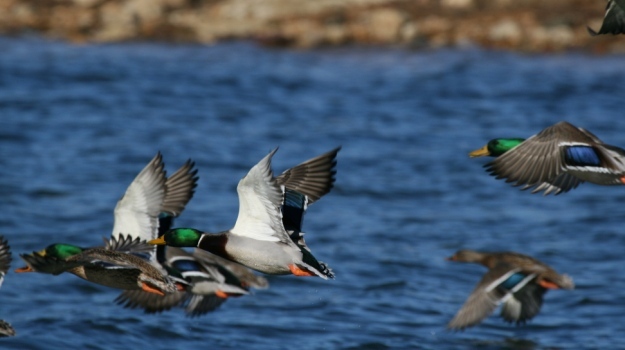 If we’re hunting diving ducks, we’ll be taking bluebills, ring-necks, wigeons, redheads and canvasbacks. But we don’t see those ducks until later on in the year when the weather gets really cold.